Mormon Moms: What is your MOST PRIZED POSSESSION? This morning I felt to attend the Temple. 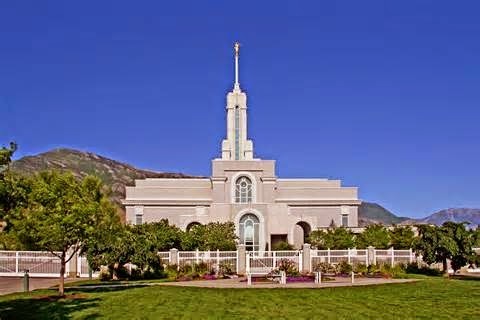 As I drove there pondering on the significance of a Temple in our midst - I almost felt overcome with gratitude for the opportunity to attend there, learn and serve there. The thought instantly came to me that this was my most prized (tangible) possession; a little wallet card called a 'Temple Recommend' which, signed by me, my Bishop, and my Stake President, certifies to my 'worthiness' to enter the Lord's house. I couldn't think of anything in the whole world which was a greater treasure for me than that; worthiness (and a little card as it's symbol) to enter into the House of the Lord. I thought of my children, whom I love with all my heart and for whom I've sacrificed much, and my parents, siblings, friends, neighbors, and even my gratitude of having a car; a vehicle of transportation. For all those I was grateful; some more deeply than others (like children more than car) but...I could not think of anything more precious or priceless to me - than the ability to prepare myself to be worthy through forgiveness, repentance, commandment keeping, prayer, fasting etc. to enter into the House of the Lord and there partake of His blessings and covenants. It was something I hadn't thought of in this way before (isn't it wonderful He teaches each of us line-upon-line and as we're ready and prepared for the next thing?) - and I just felt gratitude; gratitude that I was able to attend. I hope, and invite all who attend the Temple, to remember what great things the Lord has done for us in providing these ordinances for us to participate in. And, for those who are not yet able, that you will continue to work for it and towards it - as there truly is no greater blessing we could have in life; than to prepare ourselves, through worthiness, to enter the house of the Lord; which prepares us to be worthy to enter more fully into His presence someday.